Sev­er­al years ago, the Art Gallery of Alber­ta here in Edmon­ton pre­sent­ed an exhi­bi­tion of Edward Burtynsky’s “Man­u­fac­tured Land­scapes” work, and I was com­plete­ly blown away by the beau­ty of Burtynsky’s large-scale pho­tographs of indus­tri­al land­scapes (mines, rail­cuts, quar­ries, recy­cling yards, etc.). Next week a new show of Burtynsky’s work will open at AGA, enti­tled “EDWARD BURTYNSKY: OIL” and will be show­ing until the 2nd of Jan­u­ary. I high­ly, high­ly rec­om­mend that you vis­it the gallery while this show is up, and if you haven’t seen it already, the new AGA build­ing itself is worth the vis­it. Click here for a link to the AGA page, with more details about addi­tion­al pro­gram­ming relat­ed to the exhi­bi­tion. 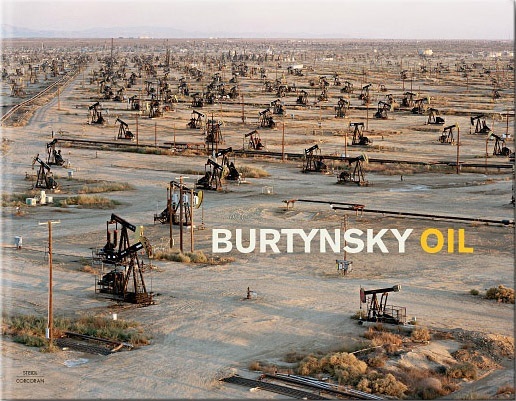 (Unfor­tu­nate­ly, Burtynsky’s open­ing lec­ture is sold out — if you have a spare tick­et I’d love to hear from you…).